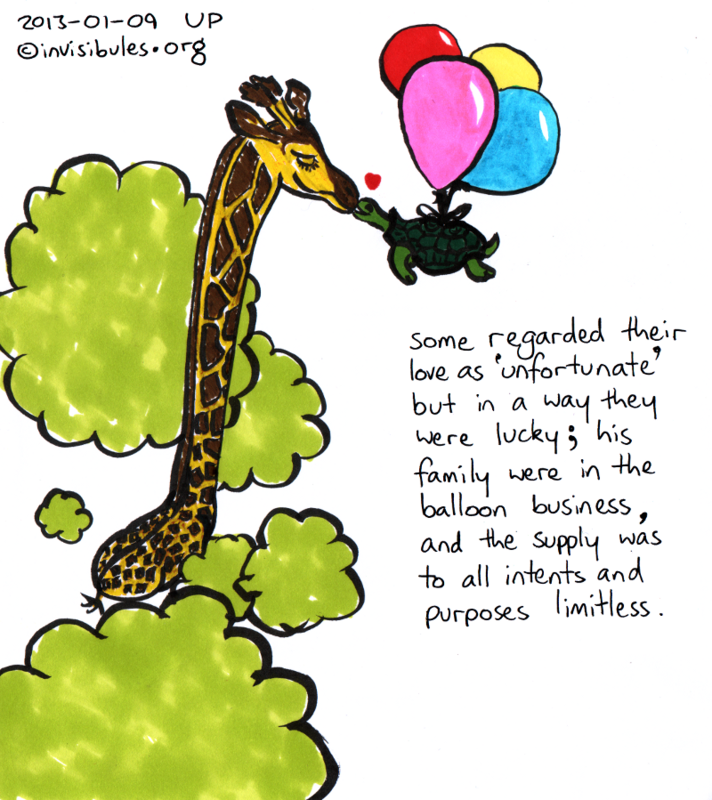 Some regarded their love as 'unfortunate' but in a way they were lucky; his family were in the balloon business and the supply was to all intents and purposes limitless. Sadly no images are appearing at all on the website viewed on my Android phone with the Chrome browser with the mobile theme (except your title banner). thanks for the warning grj – I’ve now turned it off. I think the adaptation is fine! You romantic, you!